Dr. Anita Dix-McLaughlin a non-denominational Christian Minister, is heard weekly in the UK and US on Gospel Impact Radio, is a native of Texas, raised in California, now residing in Rhode Island. Crimson and Scarlet is the fascinating novel about a fictional Southern town that spans four generations. The story is told by an elderly resident, the self-made historian of Southside, who details the relationships, as well as the greed, drug dealing, larceny, and even murder that take place here. Michael Browning, a young minister, is pursuing Charlotte Cote, a bad girl turned evangelist. However, there’s trouble in their relationship. She is the product of generations of dysfunction woven into the families who live in a town where nothing seemingly goes as expected. What hidden factors have shaped the families living in this bad luck “Bible Belt” community over the past 100 years? Is it possible for Southside to finally overcome the sins of the past and be reborn? Crimson and Scarlet's initial manuscript was written from beginning to end in one week! I know that you have heard of a book writing itself, well that is exactly what happened. The writing process was an outlet for frustrations I was experiencing. I always knew I could write, I wrote well in high school, and had a number of essays returned to me with a note from my teachers, asking if I really wrote them-- I DID! When I got to college I found that my ability to write was also apparent, but I had no idea what God would do with my writing... and as always life tends to enter in and move us along with many unanswered questions. 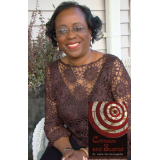 Through it all I believe that Crimson and Scarlet was "given" to me by the Spirit of God, I believe it carries with it the ability to change lives, I believe it will give the reader an opportunity to see themselves, or their attitudes in those of the characters. I know that you when you finish reading Crimson and Scarlet, you will know the truth, and the truth will set you free.